Anyone wishing for a more grounded approach to ghosbusting may be interested in Spectral, Nic Mathieu's debut feature, which is being touted as "Black Hawk Down meets Ghostbusters". Produced by Legendary Pictures and Universal, the film was pulled from a theatrical run in favour of a worldwide Netflix release on December 9, 2016 according to Deadline. 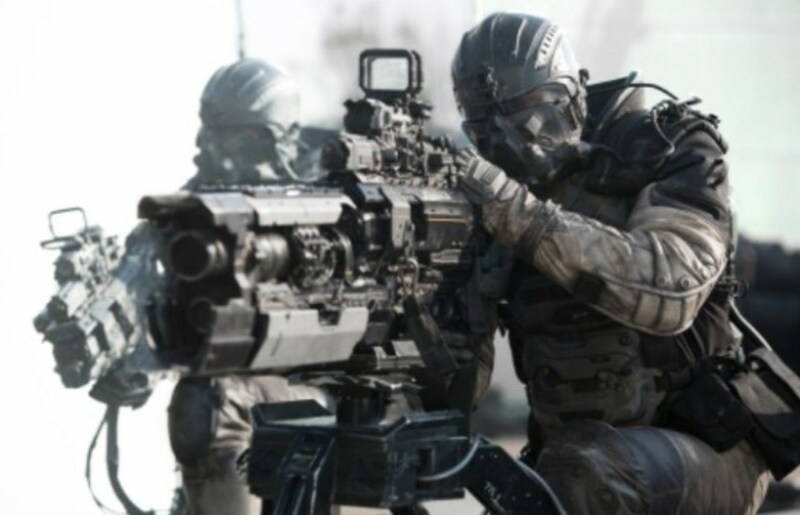 In the film, a brilliant scientist embarks on a deadly mission with a Special Ops team of Delta Force soldiers into a battle-scarred, war-torn city, where mysterious phantom aggressors code-named "Spectral" have been causing inexplicable civilians deaths. Of course, this gritty approach reminds me of Battle: LA, a film that I really dug in it's approach but also found somewhat lacking on a story level. Spectral stars James Badge Dale, Emily Mortimer and Bruce Greenwood. Peter Jackson's WETA worked on the futuristic weapons (as seen above) and the digital FX. You had me at "Black Hawk Down meets Ghostbusters" and "Netflix". Then you threw in Weta and James Badge Dale. Done deal. This dude was originally slated to direct the Robotech movie and after his Zenith commercial https://youtu.be/R7cg2OEnxUc I was very excited! Even though that didn't pan out I'm eager to see how this one turns out.